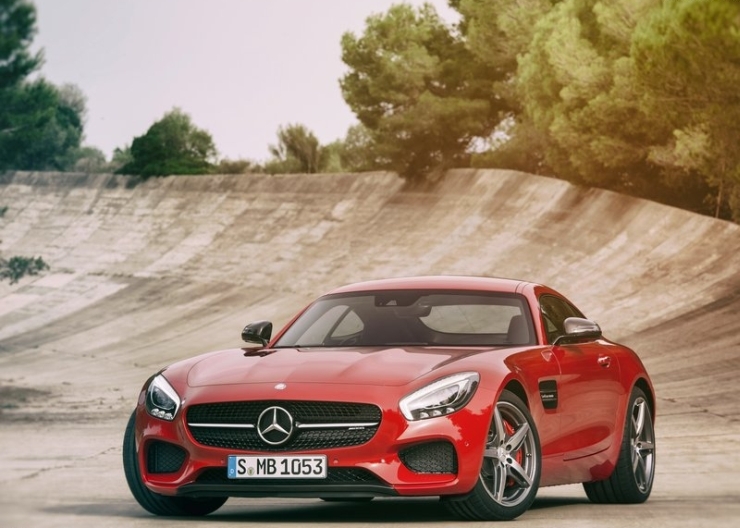 The Mercedes Benz SLS AMG high performance Gran Turismo sportscar is no more. 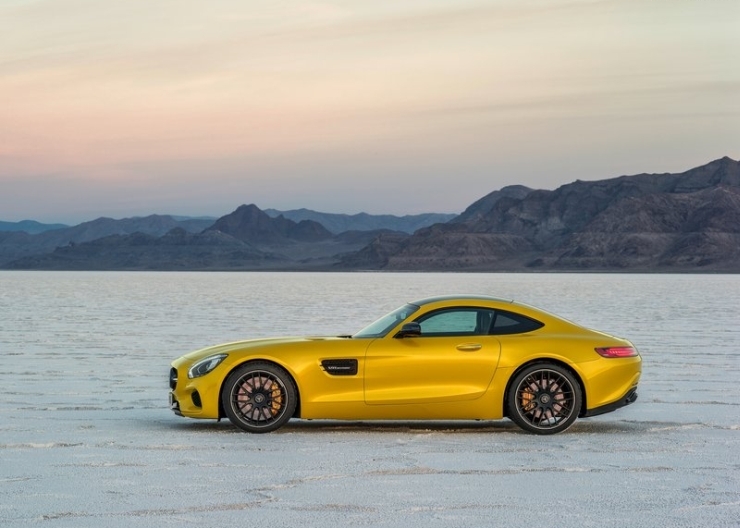 However, Mercedes Benz’s latest sportscar, the AMG GT, which was revealed hours ago, isn’t exactly the SLS AMG’s replacement. 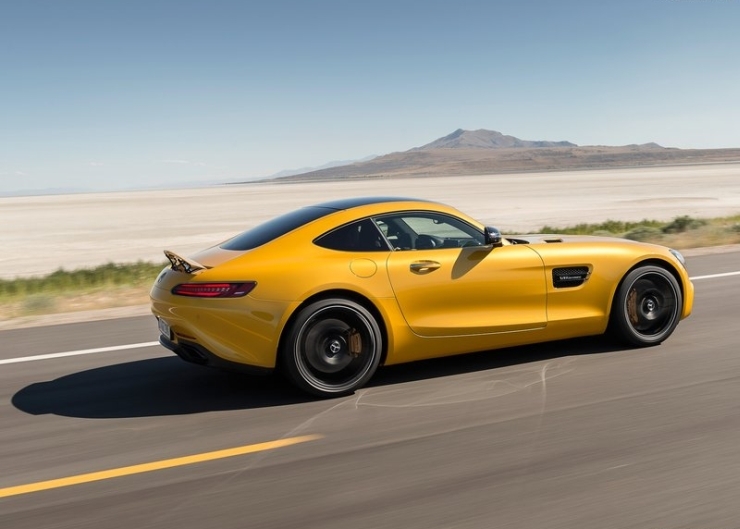 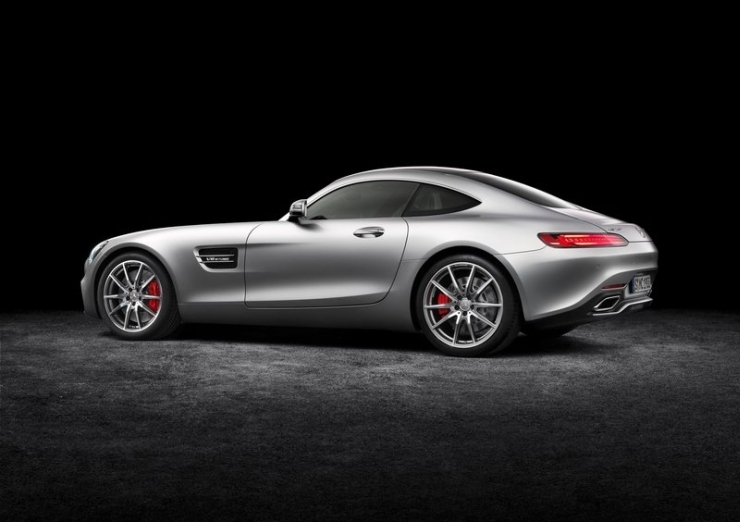 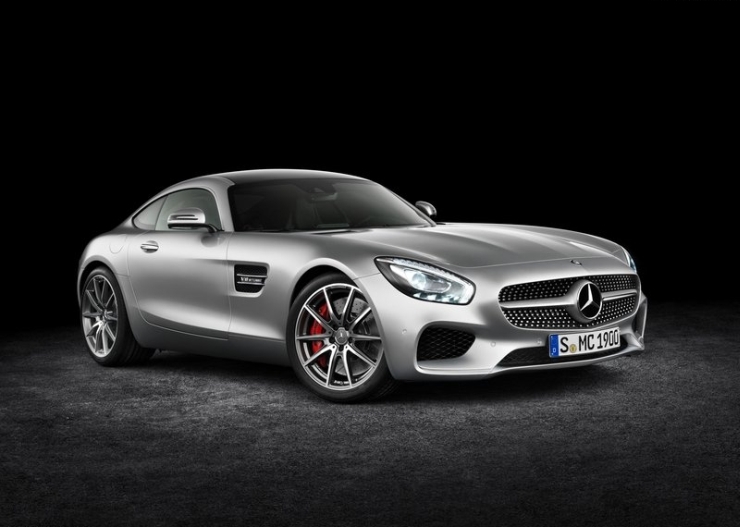 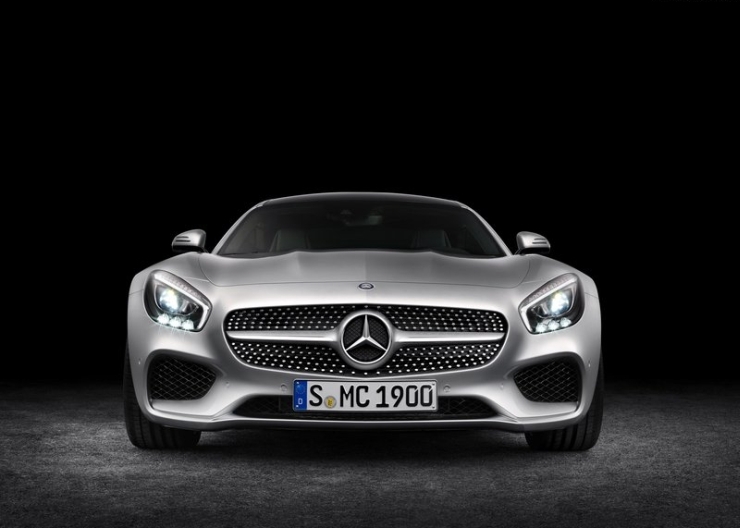 Rather, the AMG GT is Mercedes Benz’s challenger to the likes of the Porsche 911 and the Nissan GT-R. 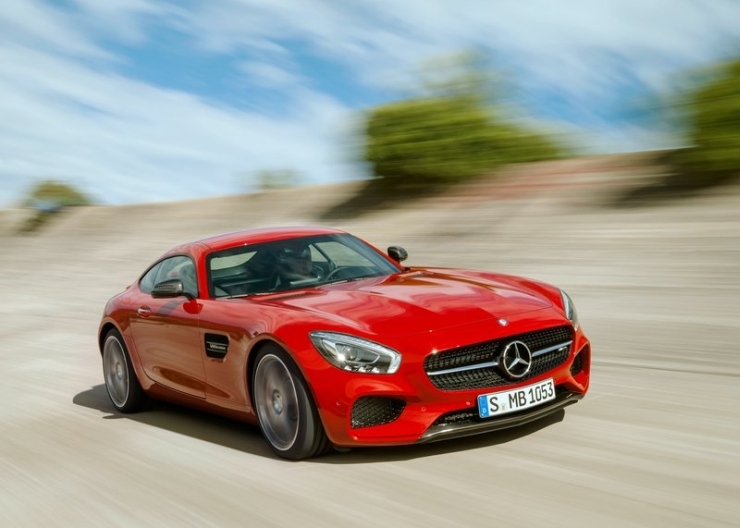 In other words, the 2016 AMG GT is Mercedes Benz’s idea of an everyday sportscar, the kind of idea that the Porsche 911 represents. 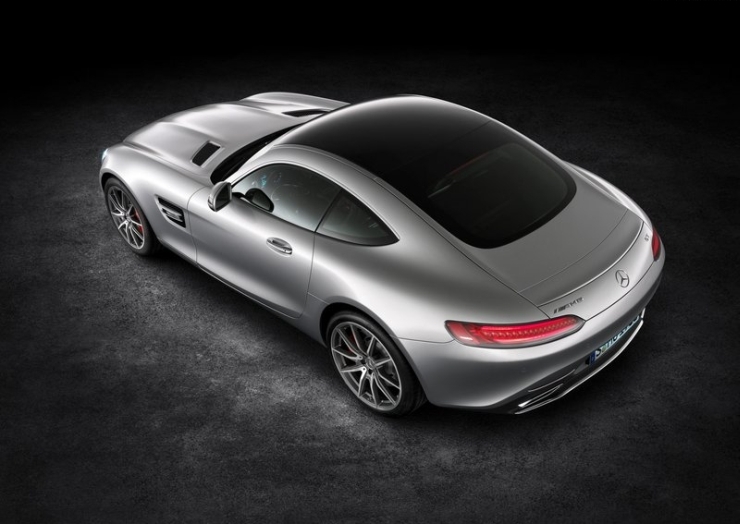 The car adopts a coupe styling, with a pulled back design that looks fast even while standing still. 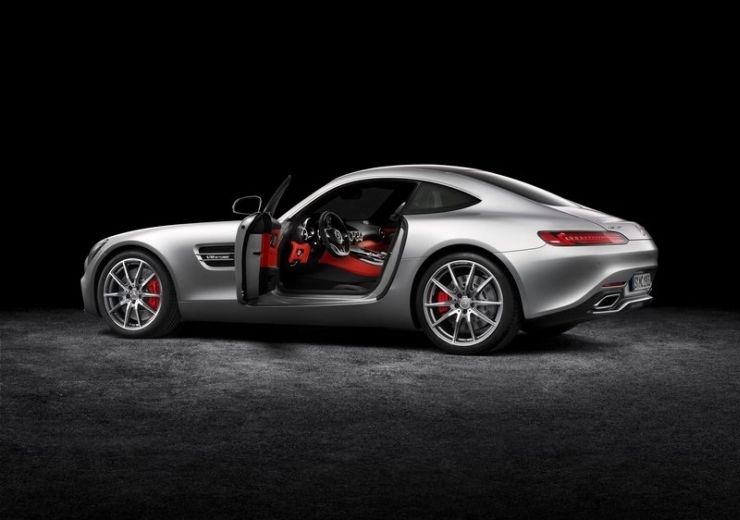 Frameless doors and a dome shaped, arched roofline are the other significant design highlights of the sportscar. 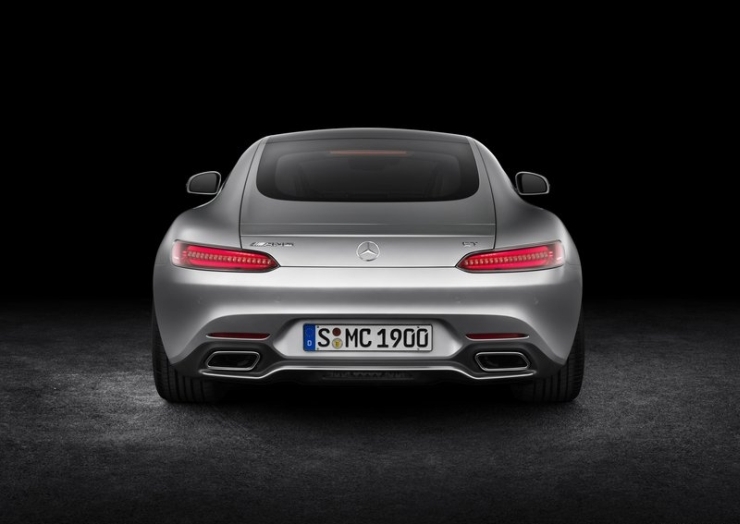 The AMG GT gets interiors whose design is said to be inspired from the aviation industry. 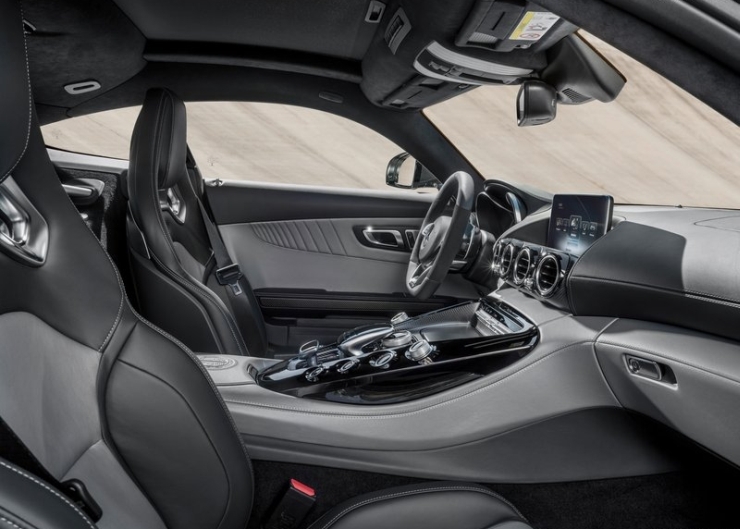 A sloping dashboard and a high center console with matte and glossy material finishes are highlights of the car’s innards. 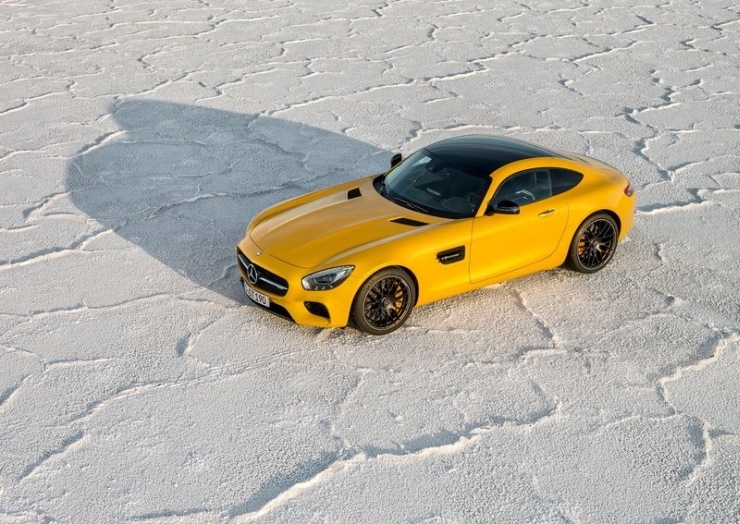 The AMG GT packs in a boat load of weight lightening aluminium, for 93 % of the car’s structure consists of light weight, high strength aluminium. 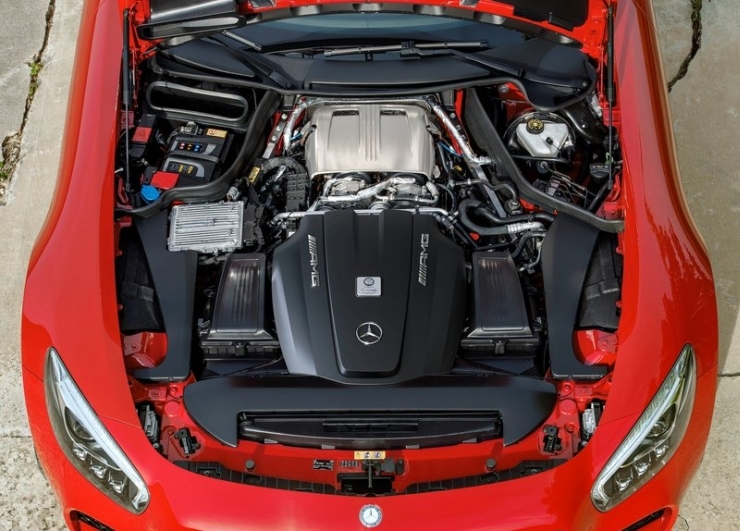 Thrust is derived from a 4 liter V8 mid mounted petrol motor that breathes through twin turbochargers to make for outputs if 462 Bhp and 600 Nm. 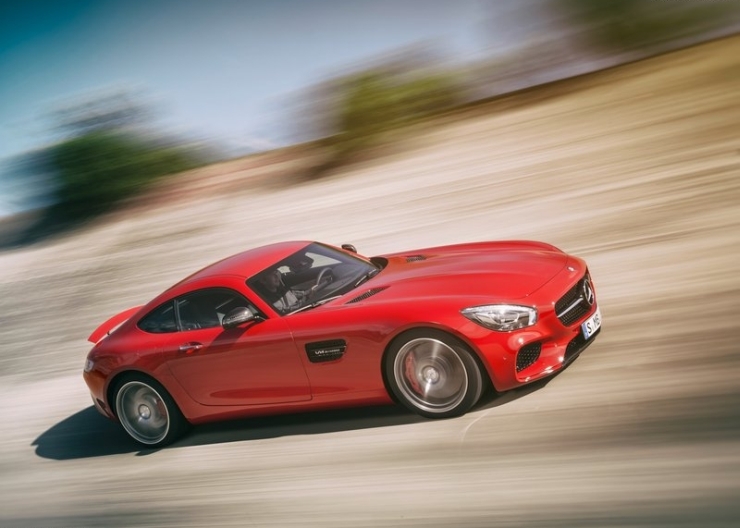 Mercedes Benz claims that the AMG GT will do the o-96 Kph sprint in 3.9 seconds, with top speed pegged at 304 Kph. 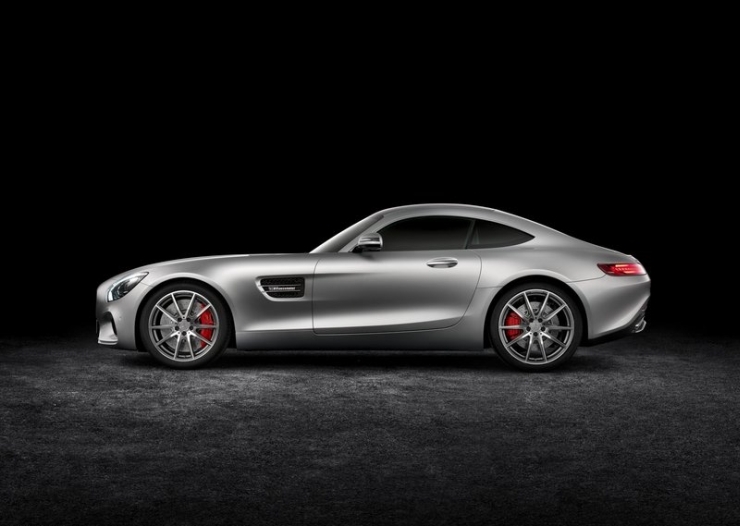 If these performance figures aren’t visceral enough, Mercedes Benz has a dark knight in the waiting. 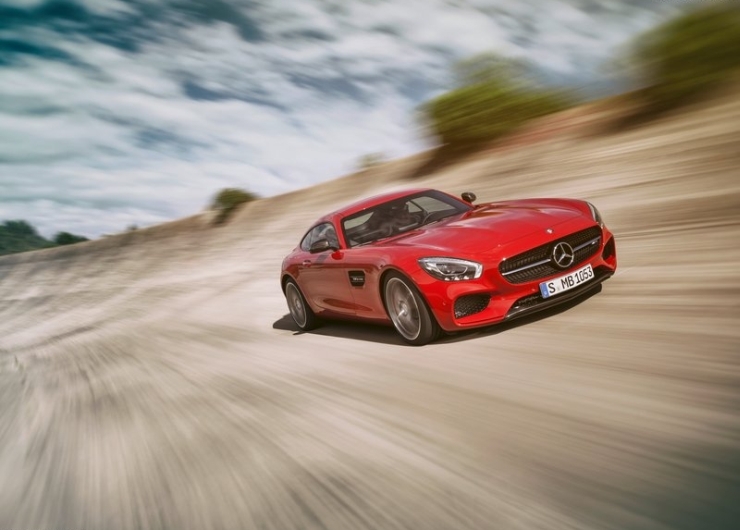 Enter the 2016 AMG GT S, where S puts surreal into the picture, and the outputs from the 4 liter V8 motor are raised to 510 Bhp and 620 Nm. 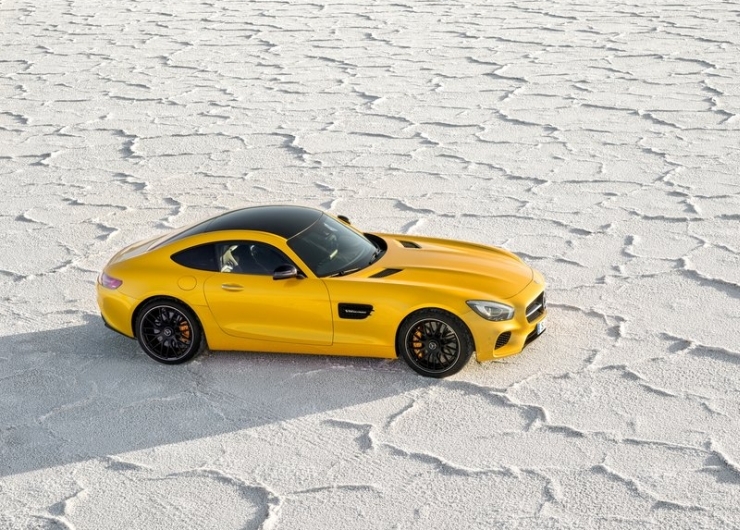 Top speed is raised to 310 Kph, and the AMG GT S will be more frantic while getting there, with the 0-96 Kph timing falling by 0.1 seconds. 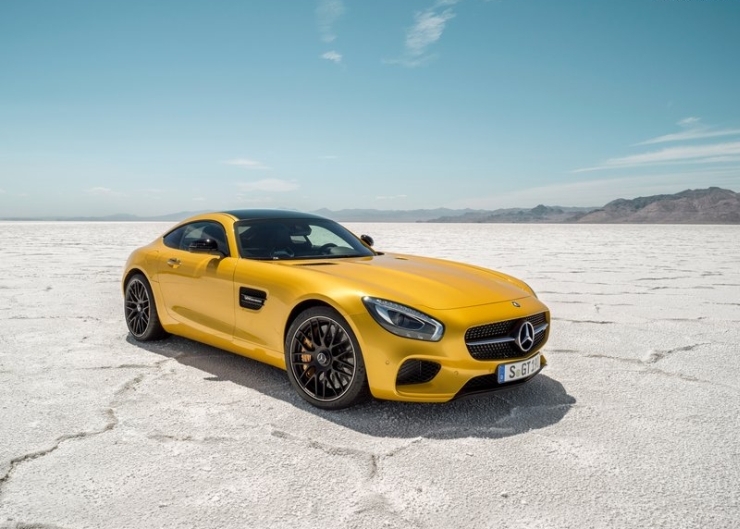 From there on, the acceleration gets into a higher gear on the more powerful AMG GT-S. A 7 speed DCT Speedshift dual clutch automatic transmission, which drives the sportscar’s rear wheels comes standard the 4 liter V8 motor. 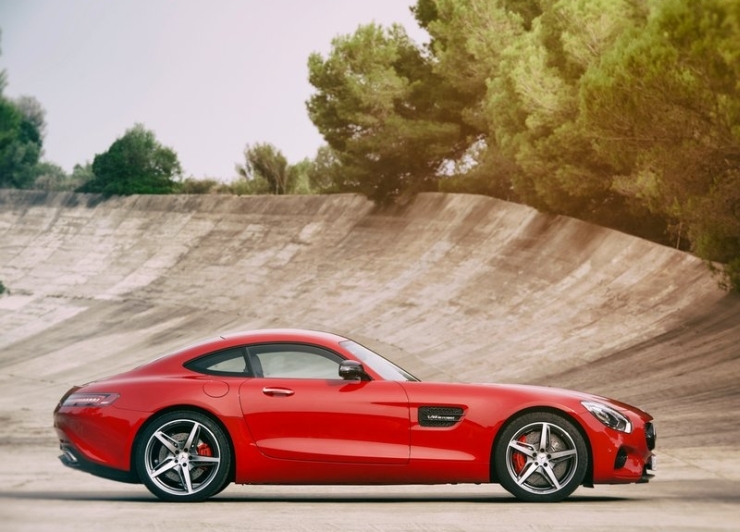 The engine features a Hot V design, wherein the turbochargers are mounted on the inner V bank of the engine rather than sitting on the outer V bank as is the usual convention. 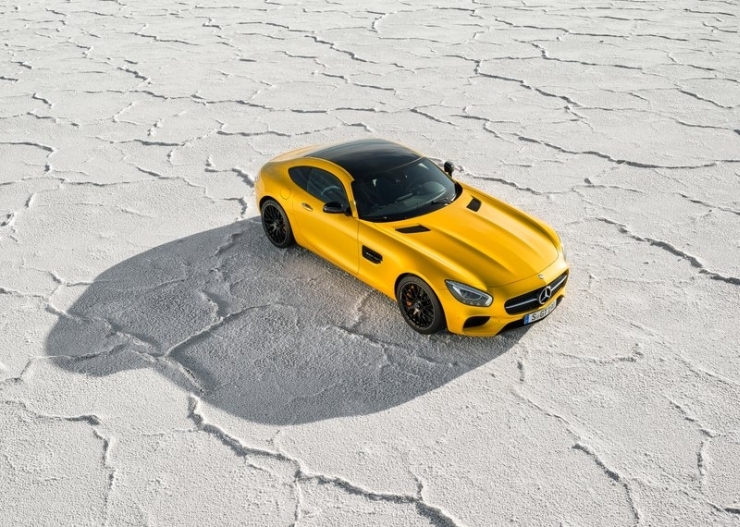 The dry sump lubrication and the Hot V design allows for a more compact engine and a lower center of gravity. 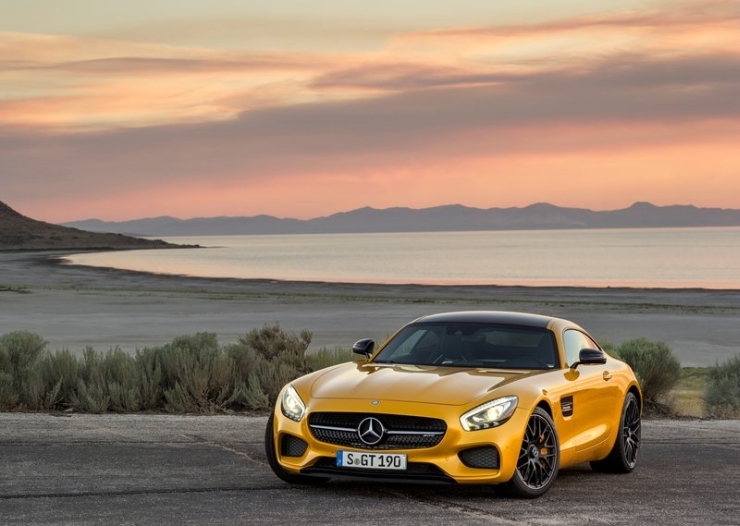 The 2016 Mercedes Benz AMG GT sportscar features race-derived double wishbone suspension made of forged aluminium. 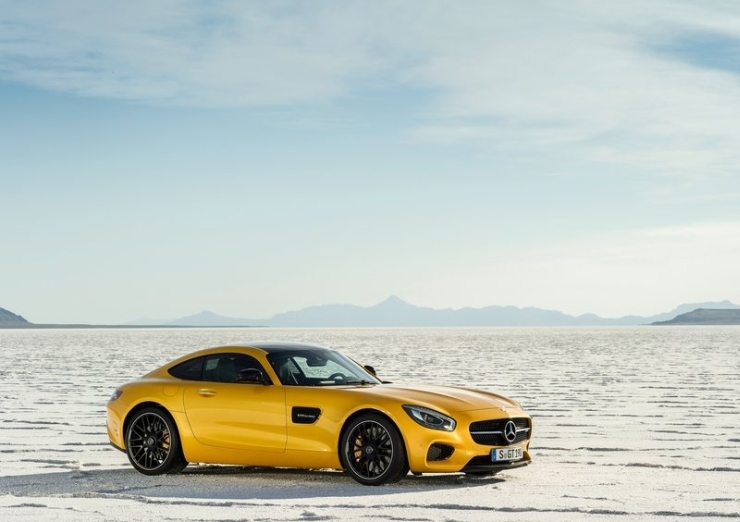 The AMG GT and GT S models use a performance exhaust system with variable flaps that allow the driver to control the exhaust note by means of the DRIVE SELECT system. 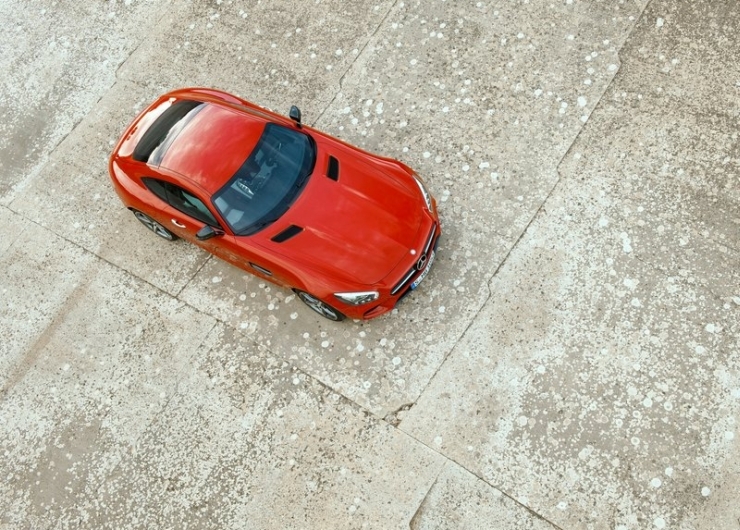 The DRIVE SELECT system also allows the driver to toggle between different modes, C (controlled efficiency), S (sport), S+ (sport+), I (individual) and RACE modes. 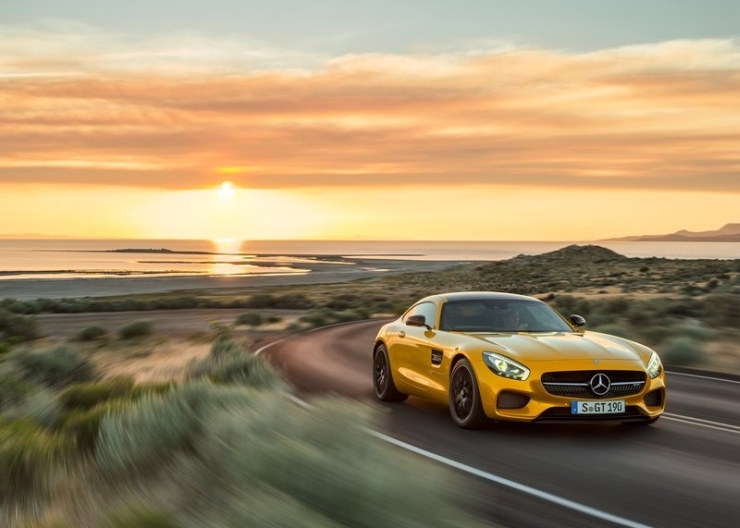 The car also features three driver select-able suspension modes – Comfort, Sport and Sport Plus, which make use of the adaptive damping function of the suspension. 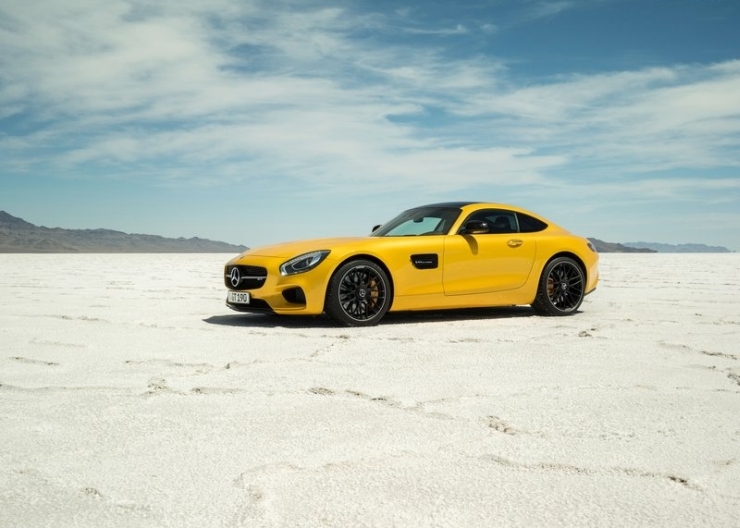 A three stage ESP system and a locking rear differential allows further tweaking of the sportscar’s handling settings. 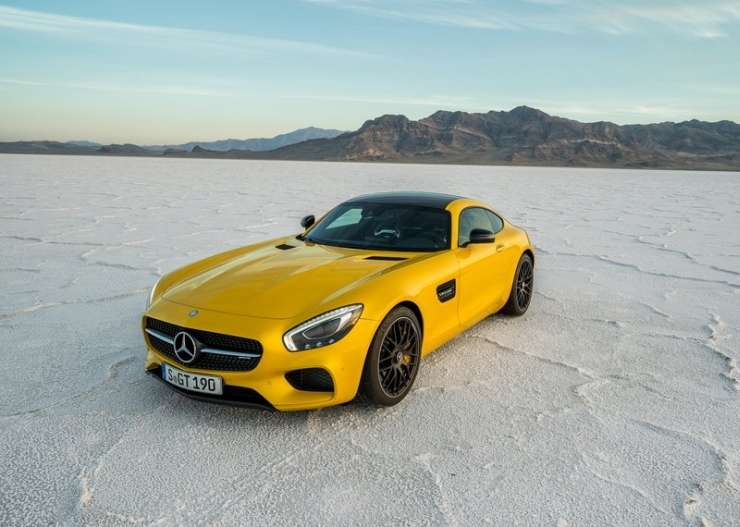 The 2016 Mercedes Benz AMT GT and GT S sportscars will go on sale internationally next year, after which Mercedes Benz India could bring it here as a completely built unit given the fact that the SLS AMG was also sold here.